Fabrice JONAS is the founder of Modelab, an independant media, which questions the changes in the fashion sector: creation, innovation, fashiontech and sustainable development. 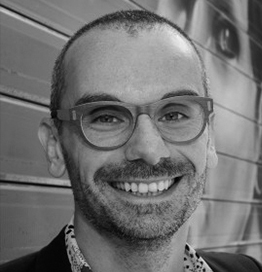 Fabrice is a fashiontech specialist and a keynote speaker. His role is to fill the gap between the technology and the fashion industry. He is also a lecturer at ESCP. He has an educationnal background in psychology and business developpement.